To the north of Lincoln Park is a small road that the beach trail joins. This street with houses along the water and ends at another park call Lowman Beach Park. 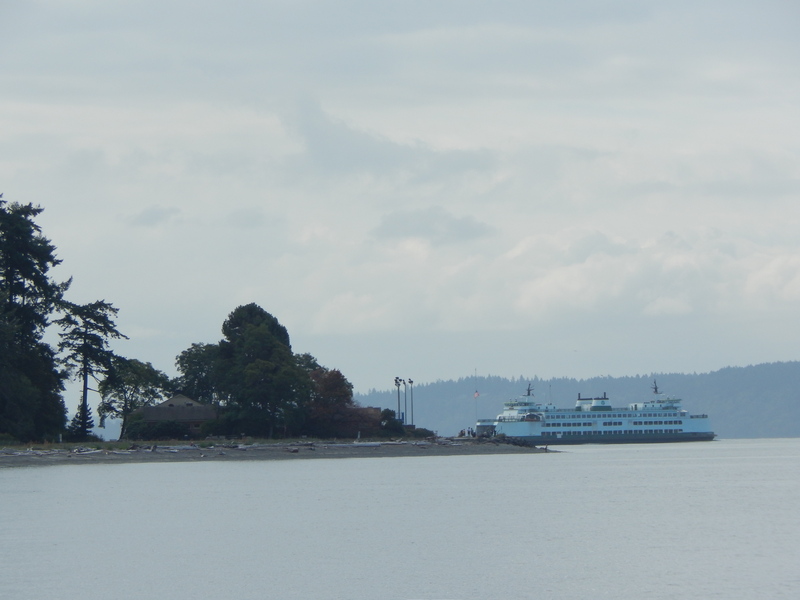 Here is where the Alki History Trail takes us to next. This was a name for a creek that followed the same path as present day Lincoln Park Way. The name might have warned about strong currents. The road down is a bit steep, so the creek that must have run there would be very swift and a canoe near impossible to ride down. I don’t think the native people would recognize this area now. The creek no longer exists but is part of the storm water drainage. The city has grown up around the area and we rightfully should be concerned about the pollution we cause. So, it has been under construction for 3 years installing an underground water retention tank to protect Puget Sound from our run-off. The feature image above was from a 2012 photo I took around King Tides. The phrase on the sea wall is quite poetic. 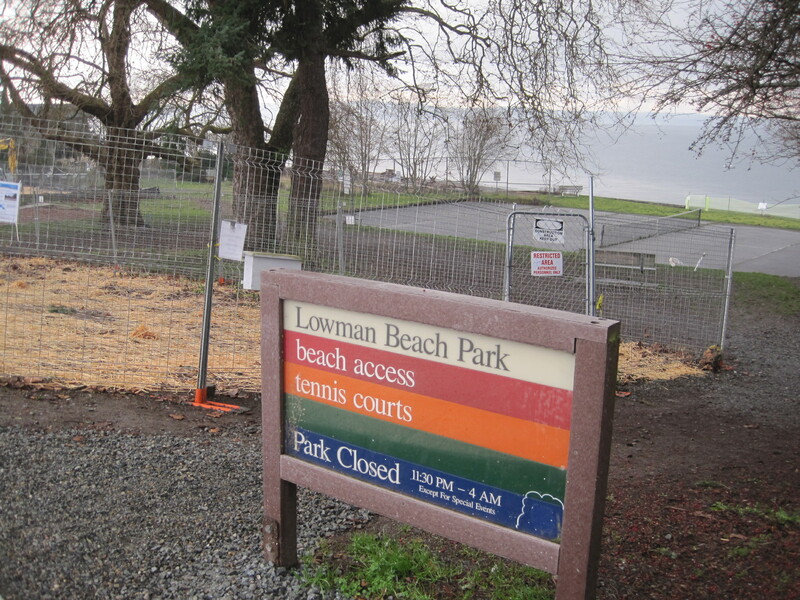 But back to construction with the following photos of Lowman Beach today. Here is what the city said about this project back in late 2013. 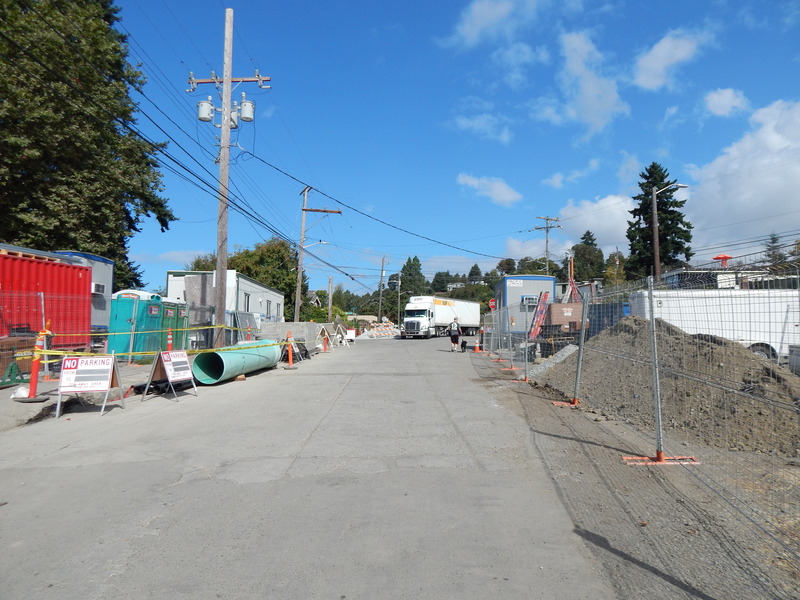 King County is going to build a one-million gallon underground storage tank across from Lowman Beach Park on Beach Drive Southwest in West Seattle. 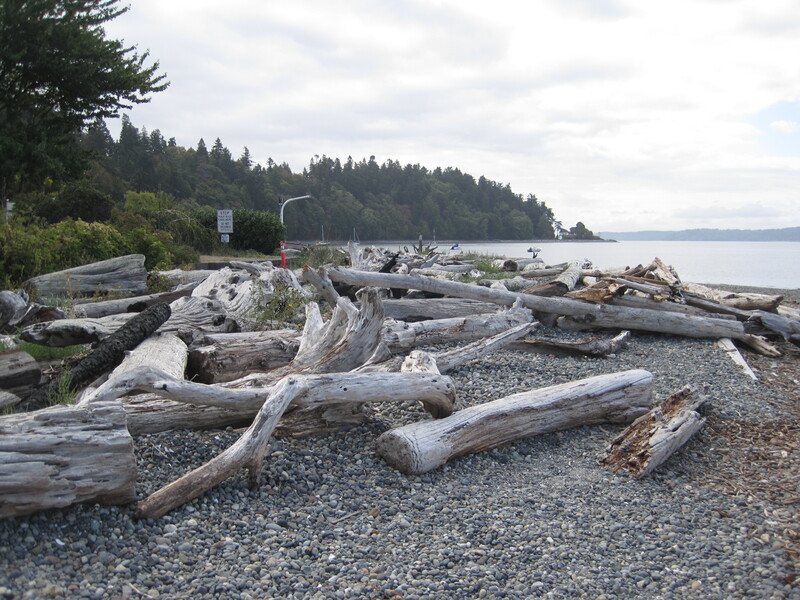 The facility will help clean up Puget Sound by storing excess sewage and polluted storm water during storms that would otherwise overflow into Puget Sound. 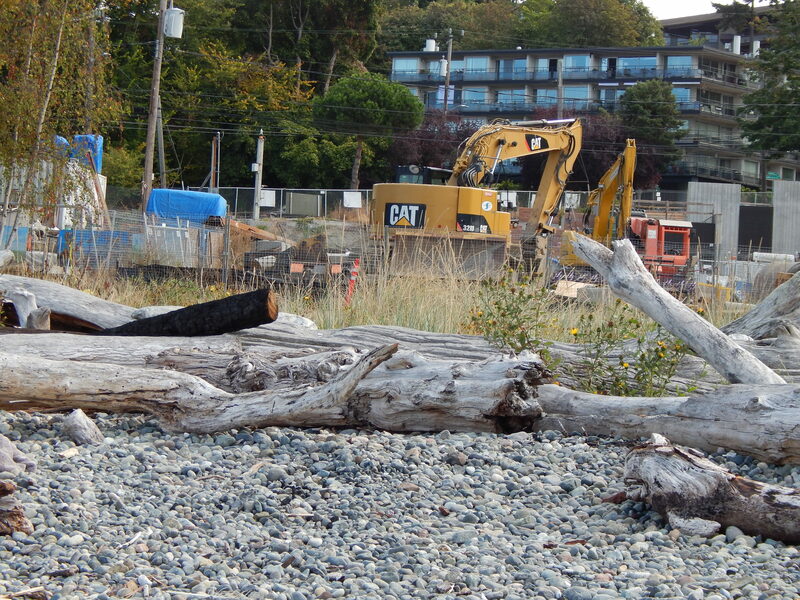 If you get down on the beach with the construction trailers behind your back there is a bit of nature to be found. 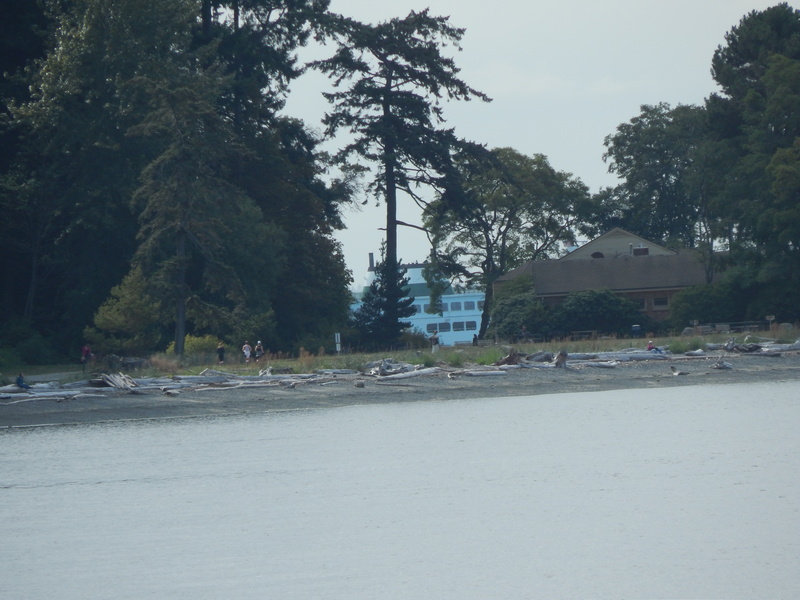 The view to the north shows how developed the area is now with houses lining the Puget Sound. 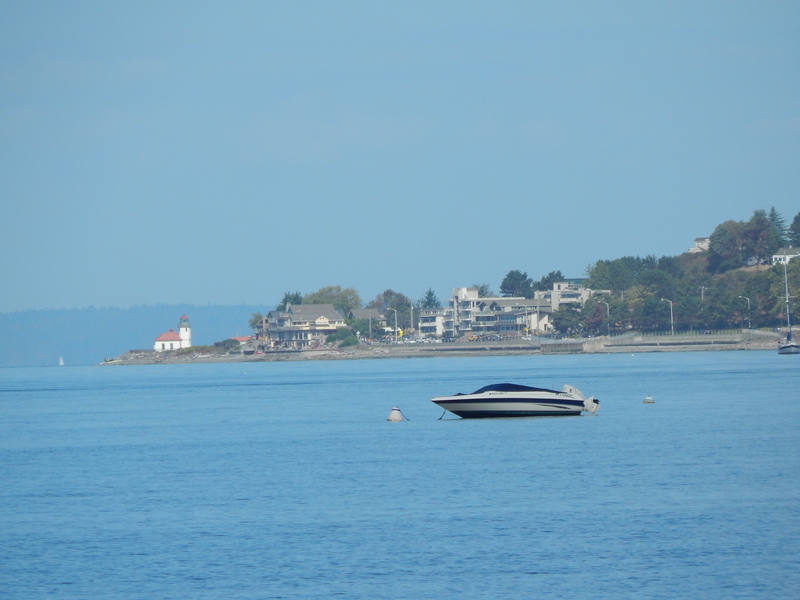 Check out Alki Lighthouse in the distance. To the South you can see Lincoln Park and Coleman Pool. I captured a ferry coming into the dock behind Williams Point. Gives one an interesting perspective. Most of these photos were from this fall. In the last week after Christmas I had returned to continue my walk north. 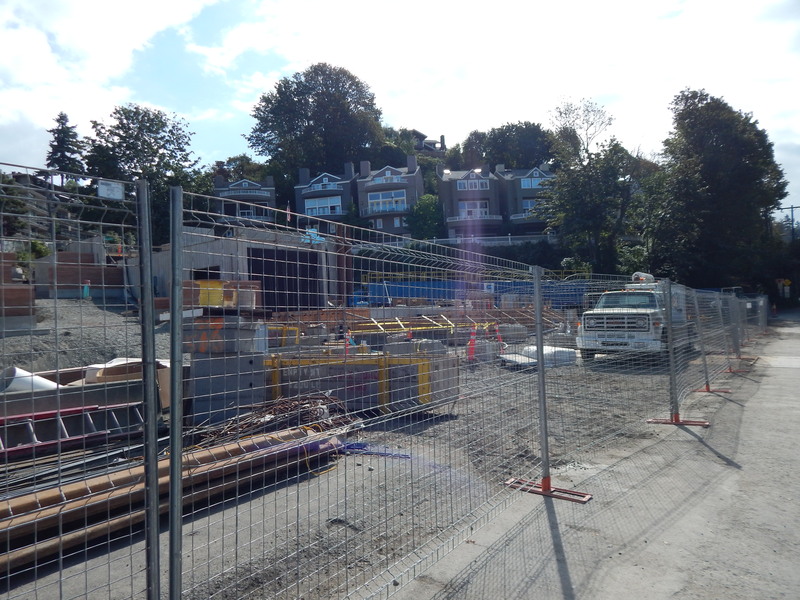 Since my first visit the construction has moved into the finishing stage with landscaping and cleanup beginning. I have to tell a little happy story that occurred as I walked along the beach trail in Lincoln Park and the road to Lowman. 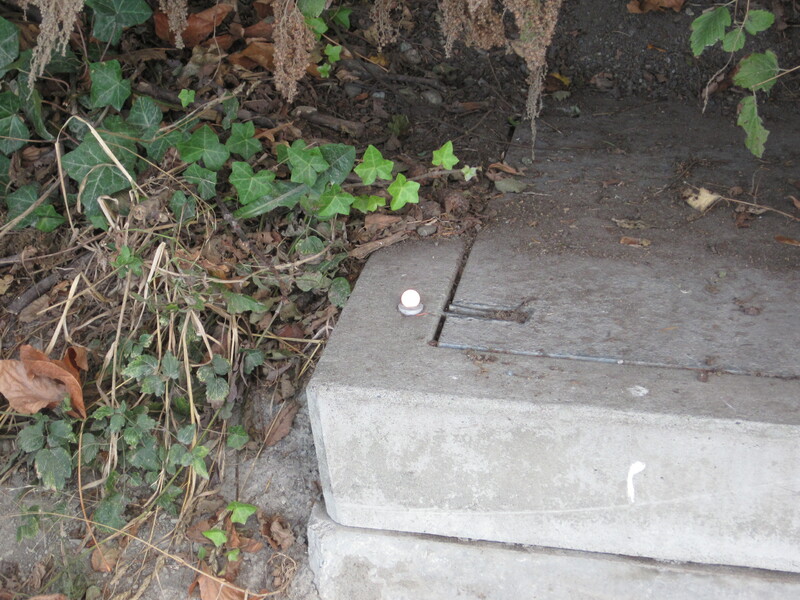 On top of a cement drainage lid I saw a very new shiny copper penny someone had positioned to stand up. They wedged it into the screw top there. I was fascinated by this penny in the middle of a natural setting enough to photograph it. Then I wandered my way down the way, stopping at the beach and doing my usual investigations. A family with a small girl caught up with me. She was so excited because she had found something special. Guess what? It was the penny. Oh what joy that random act of kindness in a shiny penny had given.